6.1 oz 100% preshrunk cotton. Ash Grey is 99% cotton, 1% polyester. 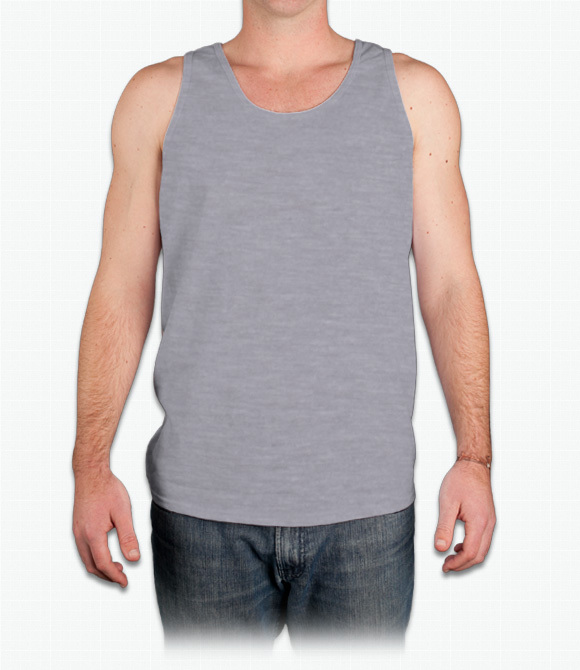 Sport Grey is 90% cotton, 10% polyester. Safety Green & Safety Orange are 50% cotton, 50% polyester. Standard fit. Great for casual wear and trips to the beach. Durable and long-lasting. Another favorite! "The shirt fits great. Only concern is that if there’s another tank top with more polyester but everything else is great." "Gildan has always been a great product. The arm holes are just right and the fabric is good quality." "The shirts themselves are perfect. The sizes are larger than expected though"